First-order-reversal-curve (FORC) measurements have become indispensable for characterizing interactions and coercivity distributions in a wide array of magnetic materials. 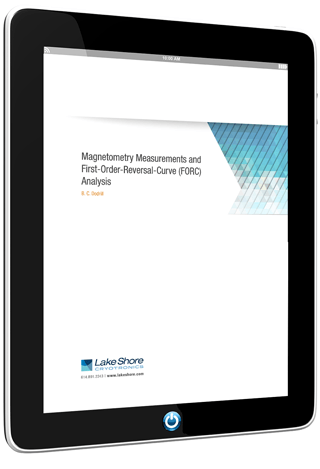 Lake Shore Cryotronics has released a new eBook, “Magnetometry Measurements and First-Order-Reversal-Curve (FORC) Analysis,” which discusses the most commonly used magnetometry measurement techniques and the FORC measurement. The resource also presents measurement results for magnetic materials such as nanoparticle-based nanocomposites, permanent magnets, multi-phase ferrite magnets, and magnetic nanowire arrays. The eBook is available for free download at: http://www.lakeshorecryotronics.com/forc-ebook. Additionally, Lake Shore has made available an app note that presents typical noise measurement results and hysteresis loop measurements of low-moment magnetic materials using Lake Shore’s new 8600 Series VSM. Based on extensive in-house performance testing, Lake Shore has updated the noise floor spec of the 8600 Series to 25 nemu. This level of sensitivity, and the resulting measurement speed of the 8600 Series VSM, particularly benefits FORC measurements. 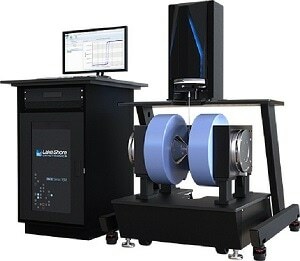 Supporting advanced research since 1968, Lake Shore Cryotronics (www.lakeshore.com) is a leading innovator in measurement and control solutions for materials characterization under variable temperature and magnetic field conditions. High-performance product solutions from Lake Shore include cryogenic temperature sensors and instrumentation, magnetic test and measurement systems, probe stations, and precision materials characterizations systems that explore the electronic and magnetic properties of next-generation materials. Lake Shore serves an international base of research customers at leading university, government, aerospace, and commercial research institutions, and is supported by a global network of sales and service facilities.